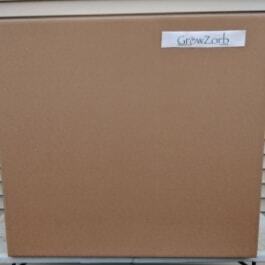 Both GrowZorb Slabs and Grind have been successful for growing cannabis. 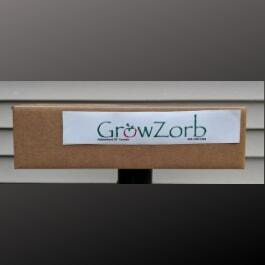 Advantages to GrowZorb significant to Cannabis is that it is 100% inert, PH neutral, it has a consistent matrix due to being a manufactured process, a clean run-off, no food value to pests, and most of all its absorbency nature allows for a fast and thorough flush/wash at the end, typically ½ the time of other mediums. The advantage to using GrowZorb Grind is that it can be used over and over, its loose and evenly dispersed matrix allows for excellent root growth. It is clean, itch free, and lightweight. Grind is easy to wash away from the root mass and can be disinfected. The Slab’s advantage is its lower initial cost, lack of loose particles and ease of handling. 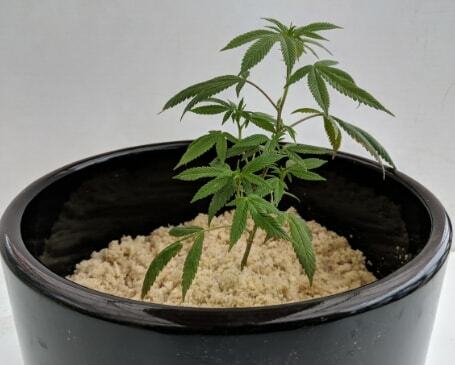 Growing on GrowZorb slabs is a bit different than traditional mediums, irrigation cycles will most likely increase, and the run-off will be clean and ready to re-use eliminating clogging problems sometimes associated with recirculating systems. Slabs are typically used only once, however they have been used up to three time by some. Used slabs can be ground up to make “Regrind”. 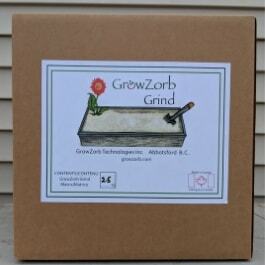 Regrind has proven to be a premium sister product to GrowZorb grind. The inclusion of root matter and residual nutrients provide a great environment for growing in pots and planters.